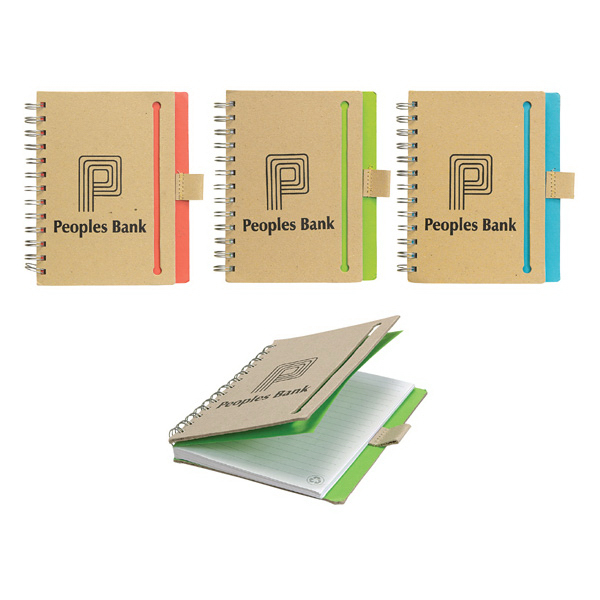 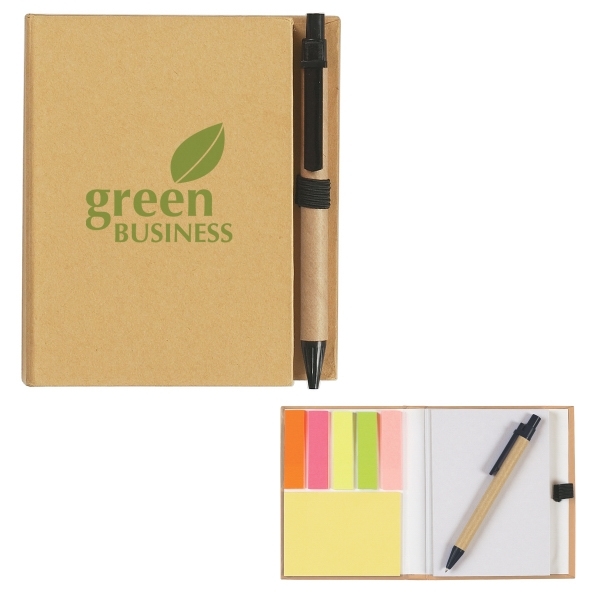 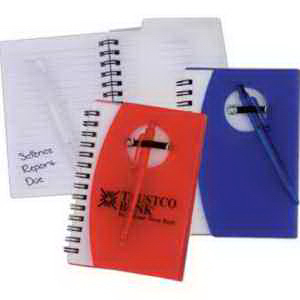 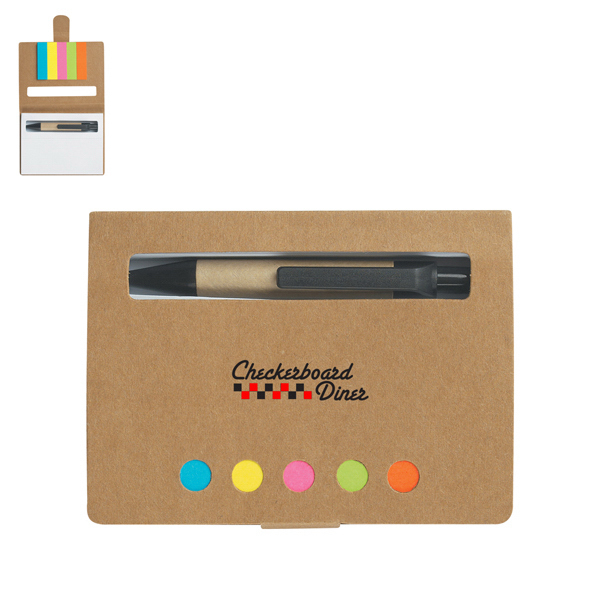 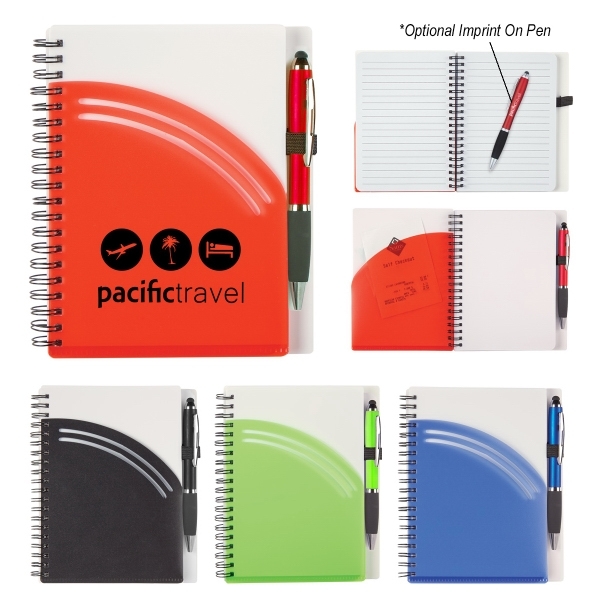 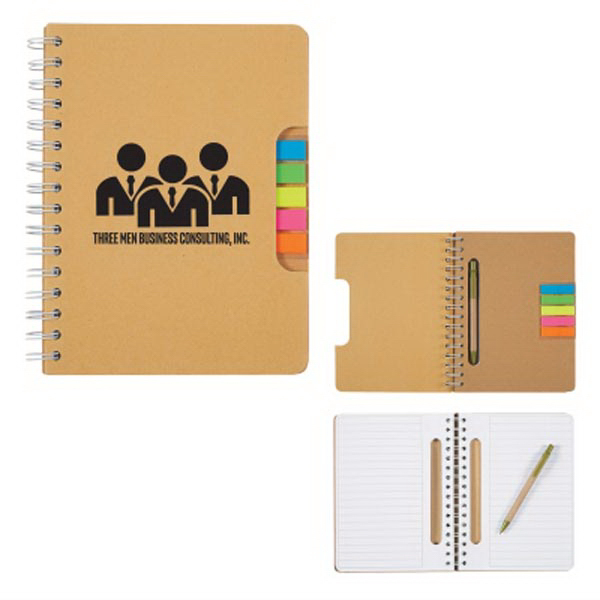 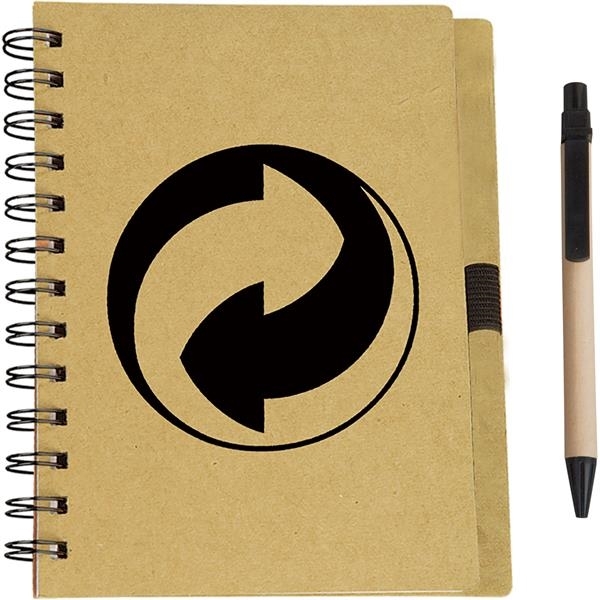 Eco-notebook with matching translucent pen. 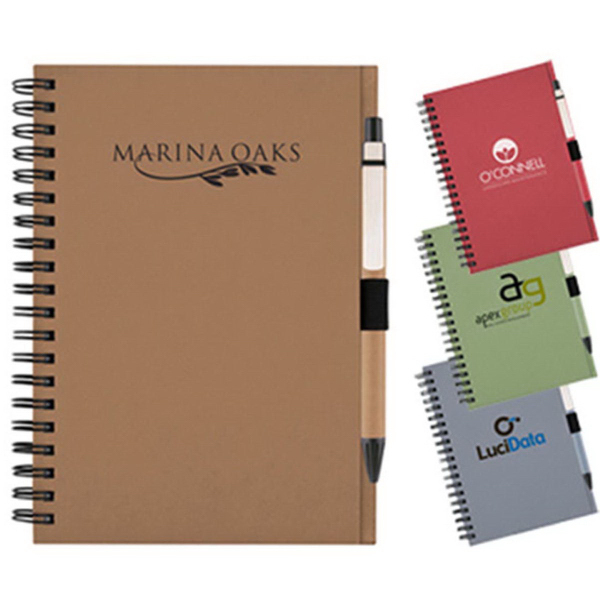 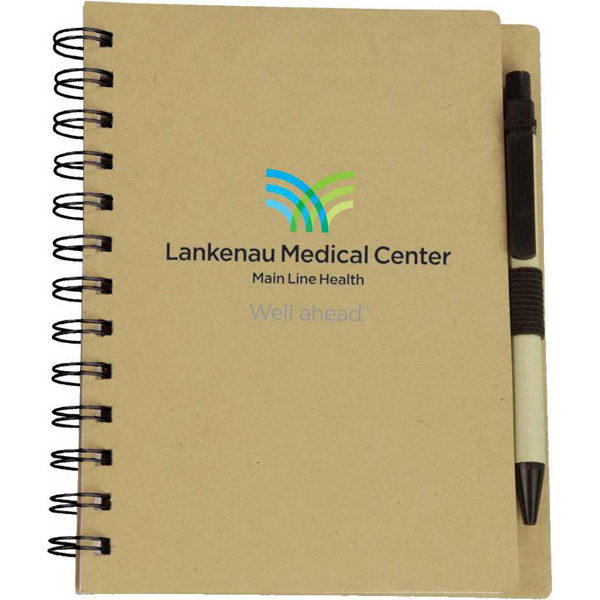 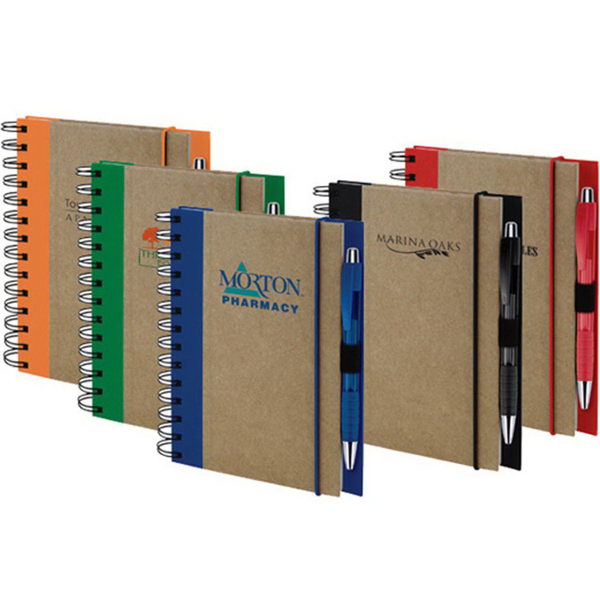 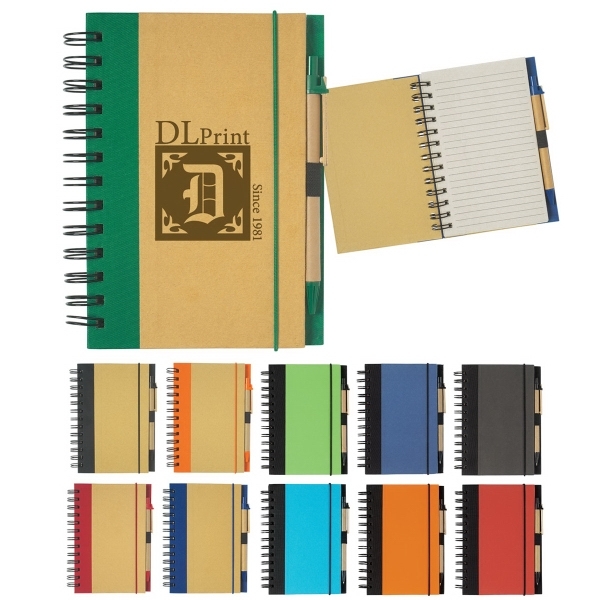 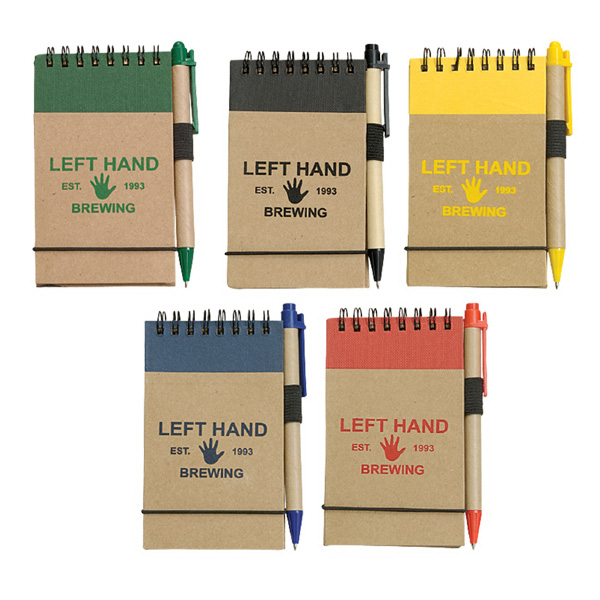 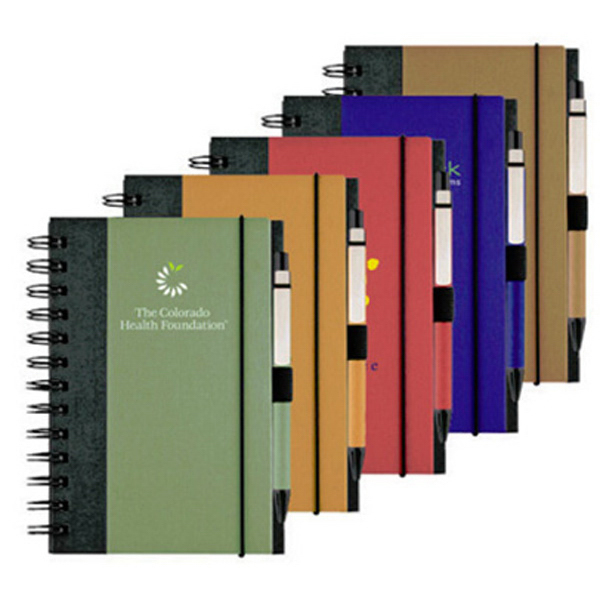 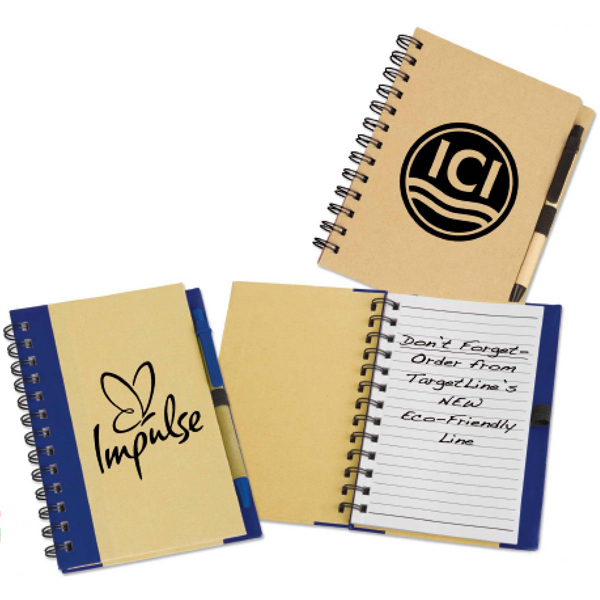 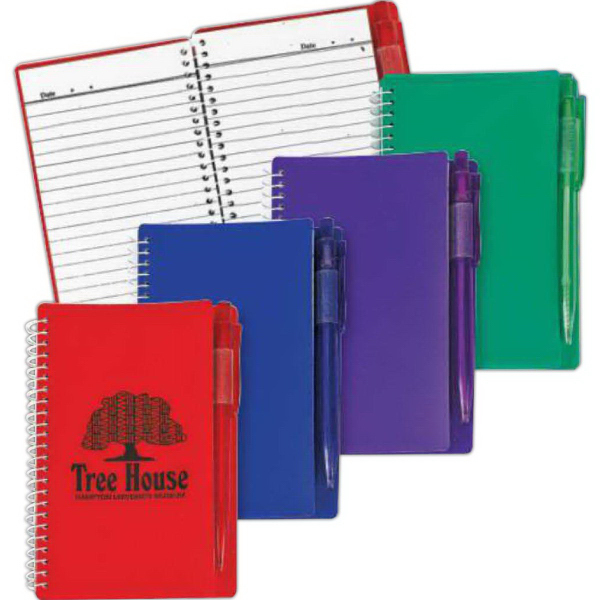 Features spiral bound, color material accent, recycled front and back cover panels, elastic band closure and 80-100% recycled lined sheets. 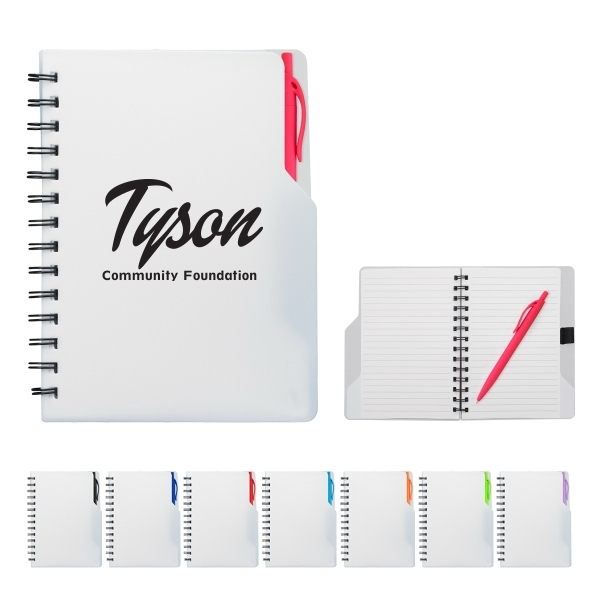 Sizes: 5 1/2 " x 7 " x 3/4 "